With Australia once again bidding for a seat at the UN Security Council in 2029, and a current bid in play for the UN Human Rights Council, it is useful to consider why and how Australia was successful last time. The United Nations has remained a significant aspect of Australian foreign policy and Australia’s history with the United Nations Security Council (UNSC) is extensive, diverse and valuable. It only thus seemed reasonable that Australia would bid for a non-permanent seat on the UNSC for a two-year term. 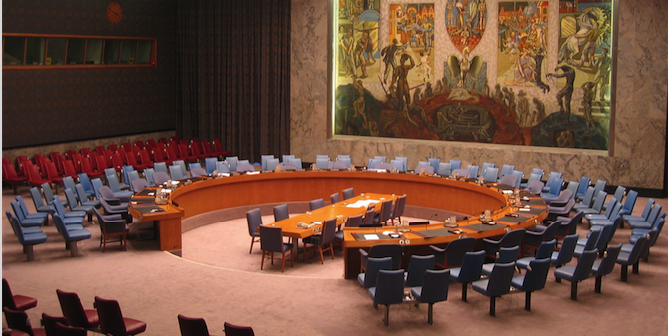 A variety of strategies were employed to form Australia’s successful UNSC bid. These proved successful when it was elected to the council with 140 votes, well above the required 129 needed, with Luxembourg, Australia’s main competitor, also elected as the second member in the Western European and Others Group. Argentina, Rwanda and South Korea were also elected in their respective groups. Australia would be serving its tenure alongside other small and regional powers such as Pakistan, Morocco, Togo, Guatemala and Azerbaijan. In March 2008, Former Prime Minister Kevin Rudd, who was supportive of a rules-based international community, announced Australia’s bid for a non-permanent seat on the UNSC for a two-year term beginning 1 January 2013. The announcement was many years away from the subsequent successful election, and made much later than Australia’s competitors, Luxembourg and Finland. Australia’s campaign can be defined as a “charm offensive”, coupled with the use of hard and soft power resources. One of the key strategies that Australia pursued was placing significant emphasis on Australia’s historical role within the UN and its wider agencies since the UN’s establishment. It was hoped that this would bring votes for Australia and help elect Australia to the UNSC. As a founding member of the United Nations and having chaired the inaugural session of the Security Council, Australia was keen to display its important involvement in the UN. This included the contribution of nearly 65,000 peacekeepers and support staff in 50 different peacekeeping operations; the UN-backed missions to East Timor, Afghanistan and Cambodia; and its leadership role in the Regional Assistance Mission to the Solomon Islands (RAMSI). Such emphasis on past events is a valuable soft power resource. US academic Joseph S. Nye asserts that “soft power rests heavily on three basic resources: its culture in places where it is attractive to others; its political values when it lives up to them at home and abroad; and its foreign policies (legitimate and moral authority).” In its bid, Australia successfully displayed its national culture, political values and foreign policy to the world. Australia’s political values as a democratic nation, its support for indigenous peoples around the world, its religious and interfaith dialogue and its leading role in international conflicts were all powerful aspects of the campaign strategy. While Australia has been significantly criticised for its gross human rights abuses and lack of effort to address indigenous issues, it nonetheless attempted to hide such failings during its campaign in order to convince other states to vote in its favour. Financial inducements and incentives were also utilised. This aim here was to display Australia’s financial goodwill and status as a creative middle power. The use of foreign aid was a highly-successful strategy in Australia’s bid to become a non-permanent member. The use of financial incentives does not meet Nye’s criteria of soft power; it is more of a hard power resource. In the lead-up to October 2012, Australia dramatically increased aid to countries that would not have been the focal point of national interest and foreign policy objectives. Political, economic and strategic security goals predominantly explained the flow of aid to other countries. Latin America and the Caribbean region benefited greatly from the rise in foreign aid expenditure during this campaign. Under the Howard Government in 2006 to 2007, aid to the Caribbean was around $170,000. Following Hurricane Ivan in Grenada, this sum spiked to around $2 million. In 2009-2010, foreign aid to the Caribbean rose dramatically to $24.7 million through the Australian Agency for International Development, which incidentally has now suffered cuts and been integrated into the Department of Foreign Affairs and Trade (DFAT). Given Australia’s traditional foreign aid focus towards Asia-Pacific countries, the increase in aid to the Caribbean appears to have been a direct result of the campaign for a UNSC seat. Smaller states such as Belize, Saint Lucia, Saint Vincent, Guyana and Jamaica were the recipients of an increased flow of aid. In addition, $7.7 million in “technical assistance” was donated to African countries including Kenya, Namibia, Botswana and Tanzania for flood-relief. 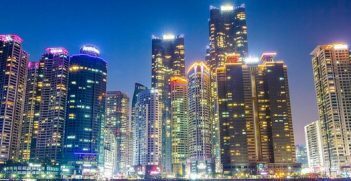 In an attempt to promote Australia as a middle power and to increase Australia’s overall chances with states in Africa, DFAT opened several new embassies and consulates around the world. Australia opened new diplomatic missions in Addis Ababa and Senegal. This suggests that the amplified diplomatic engagement with Africa was done solely to improve Australia’s campaign. This was because Australia’s diplomatic engagement and development assistance with Africa was not historically widespread by any means, in contrast with its presence in the Asia-Pacific region. This changed, however, when Australia sought membership to the UNSC. Brazil, Mexico, Peru, Colombia and Argentina are states that drew Australia’s attention. Australia also re-opened a mission to Peru to increase its chances of a seat. The increased diplomatic representation towards African and Latin American states is seen as due to Australia’s need to source votes. While the Sydney Morning Herald reported that “Australian spies gave a secret edge” to Australia’s campaign. Former Prime Minister Kevin Rudd apparently labelled the campaign a priority for Australian intelligence organisations, but this action was only for confirming pledges of support, nothing “sinister” was used to influence votes. Former Foreign Minister Bob Carr labelled the victory as “a big, juicy, decisive win” and further noted that the near $25 million invested in the campaign would not have been wasted if Australia lost. Carr further remarked the success of the campaign stemmed from support from African, Pacific and Caribbean nations. The campaign for a non-permanent seat was long and varied. 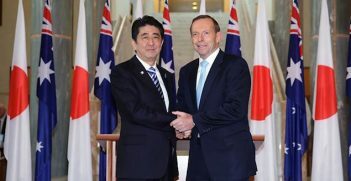 It faced much opposition from groups and individuals within Australia who have a lacklustre and short-sighted understanding of Australian foreign policy. With Australia’s tenure over, it is important to observe the importance of diplomacy through international institutions to Australia’s national interest. The so-called “diplomatic beauty pageant” for a seat on the UNSC ultimately proved indispensable and advantageous to Australian national interests and was a reflection of the role that Australia should play in the international community. Callum Cross completed a Bachelor of International Studies and Bachelor of Arts (Asian Studies) degree from the University of Adelaide. He is a former intern with the AIIA. This piece is adapted from his article on the same topic which appeared in the most recent volume of the AIIA’s Emerging Scholars. This article is published under a Creative Commons Licence. It may be republished with permission.